NEW YORK (AP) — Pharrell is heading home to Virginia Beach to launch a new music and culture festival. NEW YORK (AP) — The Recording Academy's Task Force on Diversity and Inclusion is launching a new initiative to create and expand more opportunities to female music producers and engineers. The academy on Friday announced the Producer & Engineer Inclusion Initiative, which asks that musicians, record labels and others consider at least two female producers or engineers when working on a project, whether it's a song or an album. NEW YORK (AP) — Missy Elliott is making history as the first female rapper inducted into the Songwriters Hall of Fame, whose 2019 class also includes legendary British singer Cat Stevens and country-folk icon John Prine. NEW YORK (AP) — There's no more juice in Beyonce's lemonade jar: The singer did not release new music though two albums featuring old Beyonce songs hit streaming services Thursday. Under the name Queen Carter, the albums "Have Your Way" and "Back Up, Rewind" appeared on Spotify and Apple Music, featuring demos, previously released songs and unreleased tracks by Beyonce. Hours later, they were removed. NEW YORK (AP) — Missy Elliott, who has a history of writing and producing some of pop music's most creative and catchy songs, breaks down some of the hits she's written for herself and other stars. 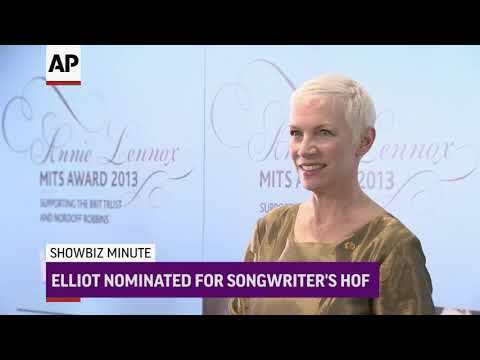 Elliott is one of the nominees for the 2019 Songwriters Hall of Fame. NEW YORK (AP) — For Missy Elliott, being a good friend and listener turned into songwriting gold. Conversations with her girlfriends fueled a great deal of her songwriting, Elliott said, resulting in her turning those stories into smash hits, from Monica's "So Gone," a No. 1 R&B success, to Fantasia's "Free Yourself." NEW YORK (AP) — Missy Elliott, one of rap's greatest voices and also a songwriter and producer who has crafted songs for Beyonce and Whitney Houston, is one of the nominees for the 2019 Songwriters Hall of Fame. Elliott reposted Halsey's video on Twitter and Instagram and wrote: "I just found out I have a FUNKY WHITE SISTER." 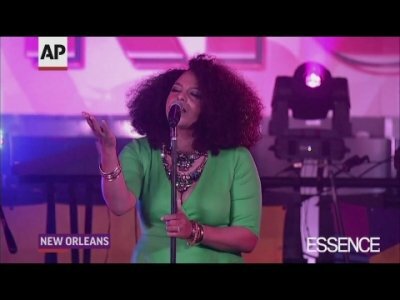 NEW ORLEANS (AP) — Iconic females in the music industry shined at the Essence Festival, where Queen Latifah used her debut performance to celebrate "Ladies First" and her 30 years in the trenches. 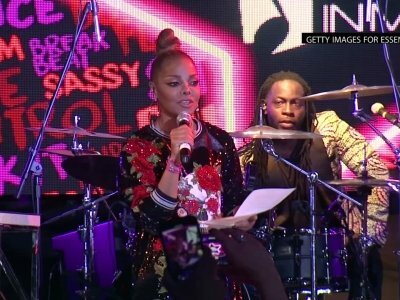 EAST RUTHERFORD, N.J. (AP) — Recent Pulitzer Prize winner Kendrick Lamar, Lil Wayne and Meek Mill helped the famed Summer Jam music event celebrate its 25th anniversary with jam-packed performances. Remy Ma, Tory Lanez and BBD also worked the stage Sunday for the feverish audience at the MetLife Stadium in East Rutherford, New Jersey. Normani Kordei is heading into the studio with Missy Elliott. The Fifth Harmony star recently signed to Keep Cool/RCA Records following the 'Work From Home' group's hiatus announcement in March, and now she's revealed her 'Get Ur Freak On' hitmaker idol has agreed to work with her on solo material. NEW YORK — Most shoppers visit Procell, a tidy boutique on the Lower East Side that specializes in vintage 1990s fashion, in pursuit of nostalgic, age-softened eye candy, even though some weren’t alive when Red Hot Chili Peppers tour shirts and Erykah Badu promo tees were screen-printed. Kendrick Lamar has admitted his videos are just as important to him as his music. The 'All The Stars' hitmaker grew up being inspired by visuals and it has always been vital to him that fans get as much from watching his songs as they do from listening to them. NEW YORK (AP) — Missy Elliott knew she was being honored by Essence — but not who was giving her the accolade. So there was plenty of emotion when close friend Janet Jackson not only handed her her trophy but praised her talent. Jackson was one of many stars who turned up to pay tribute to the singer, songwriter, rapper and producer. NEW YORK (AP) — Essence magazine will honor Missy Elliott at a pre-Grammy Award event next year. Essence says Thursday that Elliott, a hitmaking rapper, singer, producer and songwriter, will be honored at the magazine's annual "Black Women in Music" event. It will be held Jan. 25 at the Highline Ballroom in New York City. The 60th annual Grammys will take place three days later at Madison Square Garden. NEW YORK (AP) — Mariah Carey's many collaborations with rap artists will be celebrated at the 2017 VH1 Hip Hop Honors. VH1 said Monday the singer will be honored at the Sept. 17 taping, dubbed "Hip Hop Honors: The 90's Game Changers," at Paramount Studios in Hollywood, California. It will air Sept. 18. A petition to have a statue of the rapper replace a Confederate monument had almost reached its goal of 25,000 signatures on Monday. Salt-N-Pepa don’t want to collaborate with any contemporary artists. The “Push It” rappers would much rather work with the stars from their 1990s heyday than any modern acts because they don’t understand why there is so much rivalry in the charts these days. Speaking exclusively to BANG Showbiz, Cheryl “Salt” James said: “I love that when we were coming up in music there were so many women and we were all cool with each other. Salt-N-Pepa don't want to collaborate with any contemporary artists. The 'Push It' rappers would much rather work with the stars of their own 1990s hey day then any modern acts because they don't understand why there is so much rivalry in the charts these days. Speaking exclusively to BANG Showbiz, Cheryl 'Salt' James said: "I love that when we were coming up in music there were so many women and we were all cool with each other. Missy Elliott forgets she's famous and is only reminded she's a rap superstar when her fans come up to speak to her. The 'Get Ur Freak On' hitmaker is one of the biggest hip hop stars of all-time and is responsible for countless hits both on her own and on collaborations with artists such as Janet Jackson, Faith Evans and Little Mix. But Elliott doesn't live an A-list lifestyle and is happy to go out shopping for her own groceries and enjoys trips to the mall by herself without an entourage. A backup dancer who has performed with Beyonce, Rihanna and Missy Elliott who has been found after she went missing on Saturday. North Bergen police Officer Alex Vazquez said Tuesday that Shirlene Quigley had been found and her family was en route to see her at an undisclosed location. Elliott said on her Twitter account Tuesday afternoon that Quigley was "safe & being treated." NORTH BERGEN, N.J. (AP) — A backup dancer from New Jersey who has performed with Beyonce, Rihanna and Missy Elliott was found Tuesday after she went missing on Saturday, police said. North Bergen police Officer Alex Vazquez said Tuesday that Shirlene Quigley had been found and her family was en route to see her at an undisclosed location. Elliott said on her Twitter account Tuesday afternoon that Quigley was "safe & being treated." 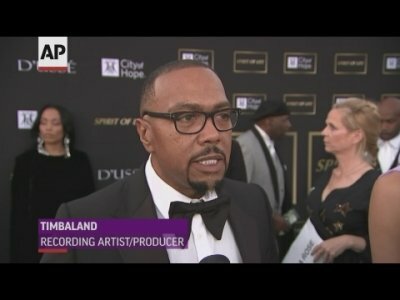 NEW YORK (AP) — Kashif Saleem, the singer, songwriter and producer who crafted dance-funk hits in the 1980s and also produced Whitney Houston's first big hit, died Sunday from undetermined causes in his California home, his representative said Tuesday. He was 59. No further details about the musician's death were provided. NEW YORK (AP) — R&B singer Monica says she's happy to see her 13-year-old hit "So Gone" trend heavily on social media, spike in sales and streams, and find a new audience with younger kids. NEW YORK (AP) — It was a musical joyride for Michelle Obama as she joined James Corden for a "Carpool Karaoke" session that aired Wednesday on the late-night host's CBS show. The first lady and Corden didn't go far — security demanded that they stick to the driveway on the White House property. But that didn't mean they couldn't belt out Stevie Wonder's "Signed, Sealed, Delivered I'm Yours" and Beyonce's "Single Ladies (Put a Ring on It)." LOS ANGELES (AP) — Michelle Obama's "Carpool Karaoke" joyride with James Corden will air Wednesday on the late-night host's CBS show. The first lady and Corden sing "This Is For My Girls," described as a "girl power anthem" intended to promote full access to education worldwide. The song was written by Grammy-winner Diane Warren and includes artists Kelly Clarkson, Missy Elliott, Janelle Monae, Kelly Rowland, Lea Michele and Zendaya. NEW YORK (AP) — Missy Elliott is known for her oddball, trippy videos and colorful rhymes, but says if she were a man, more people would know about the songs she's written or produced for other acts, including Whitney Houston, Beyonce and Aaliyah. NEW YORK (AP) — Queen Latifah remembers being on set in 1997 for the music video for "Ladies Night (Not Tonight)," the female rap anthem starring Lil Kim, Missy Elliott and others. It featured a number of top female musicians performing on the song and making cameos in the video, including Left Eye, Da Brat, Angie Martinez, Mary J. Blige, SWV, Total and Xscape. NEW YORK (AP) — Singer Ciara has one, two stepped down the aisle with NFL player Russell Wilson. The couple both posted the same photo Wednesday on Twitter and Instagram showing Ciara in a wedding gown and Wilson in a tuxedo with the caption, "We are The Wilsons!" A representative for Ciara confirmed the marriage and said the wedding took place at the Peckforton Castle in Cheshire, England.